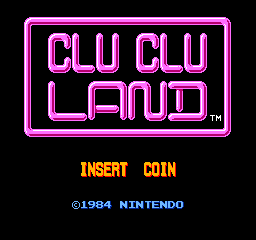 Vs. Clu Clu Land © 1984 Nintendo. Vs. Arcade version. For more information about the game itself, please see the original Famicom release entry; "Clu Clu Land [Model HVC-CL]".